This is a MM Single fiber module,the Data-rate of 155Mbps operation and the wavelength is Tx1310/Rx1550nm,maximum transmission distance is up to 2KM. 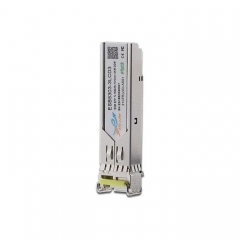 This is a MM Single fiber module,the Data-rate of 155Mbps operation and the wavelength is Tx1550/Rx1310nm,maximum transmission distance is up to 2KM. This is a SM Single fiber module,the Data-rate of 155Mbps operation and the wavelength is Tx1310/Rx1550nm,maximum transmission distance is up to 3KM.